UAW President Dennis Williams has promised to bridge the gap between the $28 an hour in wages that top-tier UAW members are paid at the Detroit 3 vs. the $15.78 starting wage of entry-level UAW workers. But will the union be able to do that and maintain health benefits? DETROIT -- UAW-represented workers at the Detroit 3 enjoy some of the best health care benefits in industrial America. So a big question in this year's UAW-Detroit 3 contract talks is whether those benefits can survive intact for four more years -- and leave enough money for the UAW to achieve other key goals, such as pay raises. Health care is the single largest benefit in dollars for UAW workers, said labor expert Kristin Dziczek. She is director of the industry and labor group at the Center for Automotive Research in Ann Arbor, Mich.
Ford Motor Co., Fiat Chrysler and General Motors are watching nervously as their costs rise for hourly employee health care. Health care cost inflation combined with additional employees has pushed Ford's estimated health care cost for bargaining-unit employees to $800 million this year from $550 million in 2011, Ford said in a statement. FCA US said its cost is on pace to jump to $615 million this year vs. $347 million in 2011. The Detroit 3 employ about 137,000 hourly workers combined. Ford and FCA provided some information for this report, but they and GM declined to comment on contract strategy. The UAW declined to comment. Also clouding this year's contract talks is the prospect that the Detroit 3 could be hit with a so-called Cadillac tax beginning in 2018. Provisions of the Affordable Care Act penalize companies with high-cost health care benefits. It is not known what that tax would cost the Detroit 3, but the law imposes a 40 percent tax on worker health care benefits exceeding $10,200 for individual coverage and $27,500 for family coverage. Today, FCA's average annual health care cost for a longtime hourly employee is $18,000 and somewhat less for entry-level workers, FCA said in its statement. Ford's blended annual health care cost per bargaining-unit employee is $15,000, the company said. GM declined to detail its health care costs. Put in hourly terms, health care costs constitute about $9 per hour of the $47 an hour in total compensation that FCA pays to UAW members and $8 an hour at Ford. Historically, UAW health care benefits have been untouchable in collective bargaining, said Art Schwartz, a former GM labor negotiator who is president of Labor and Economic Associates in Ann Arbor. 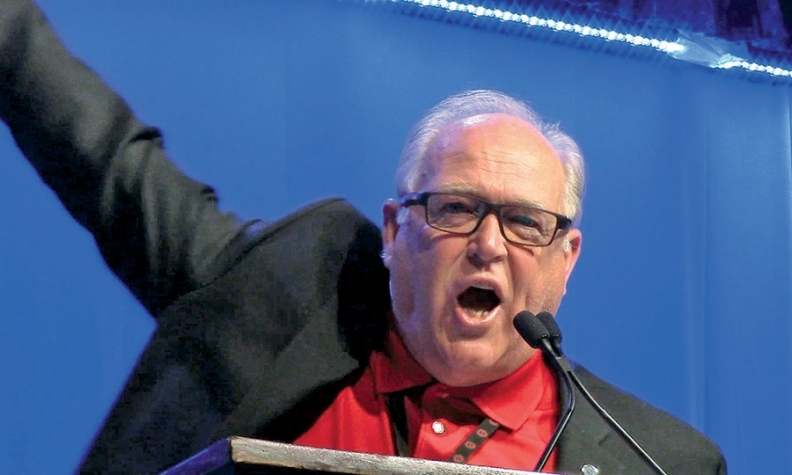 The UAW has argued that the benefits it has negotiated for members have been purchased over time by giving up raises and other compensation, Schwartz said. "The UAW has never been ashamed of those benefits," he said. With auto sales booming and the Detroit 3 highly profitable going into the contract talks, Schwartz said he doesn't see the UAW conceding on health care in this round of bargaining. The carmakers can't plead poverty, he said. That said, the health care benefits for active UAW workers are better than those available to UAW retirees and their families who now get health care from the independent Voluntary Employees' Beneficiary Associations, or VEBAs, negotiated in 2005 and 2007, Dziczek said. UAW active employees pay for about 6 percent of their annual health care costs vs. 20 percent for VEBA participants, she said. By contrast, salaried employees at Ford and FCA share between 30 and 35 percent of their annual health care costs, the companies said. Schwartz said the Detroit 3 will raise those facts, along with looming additional costs from the Affordable Care Act, with UAW bargainers. The Detroit 3's contracts with the UAW expire in September. Whether the UAW will budge on health care benefits is unclear, Dziczek said. And if the union won't, that stance may stifle raises and other compensation that the union will try to win for workers during this bargaining round, she said. UAW President Dennis Williams has promised in recent months to bridge the gap between the $28 an hour in wages that top-tier UAW members are paid at the Detroit 3 vs. the $15.78 starting wage of entry-level UAW workers. He also said top-tier workers have not had a wage increase in 10 years and deserve one. Industry sources say the automakers intend to keep overall labor costs from rising annually above the rate of inflation. If the Detroit 3 stick to such a plan, Dziczek said, preserving the current health care plan over the next four years could put a damper on what other gains the union can achieve. For now, the union and Detroit 3 are working around the edges to lower health care costs by better managing care for people with chronic conditions and through a number of pilot programs, Schwartz said. He said he'll be curious to see whether the carmakers are satisfied with those types of initiatives and whether they'll seek to make health care a big issue in the talks. Of health care benefit cuts, Schwartz said: "They would be tough to broach with members."